North-east academics are researching ways to improve the mental health of farmers amid rising concerns about the number of workers in the agricultural sector taking their own lives. The new project at Robert Gordon University (RGU) is aimed at enhancing the wellbeing of the nation’s farming population and has been formed after studies showed that, on average, one farmer commits suicide every week in the UK. Those behind the study also fear that the stress which accompanies the job can lead to an increased likelihood of farmers becoming injured at work. The team of researchers from the university’s School of Health Sciences, along with experts from NHS Grampian, will gather the opinions of local farmers on what can be done to help them cope with the demands of their job. It is hoped that the scheme will result in some long-term solutions being discovered which could ensure a happier and healthier future for farmers. Professor Kay Cooper and Professor Liz Hancock will lead the team. Professor Cooper said: “We know that farmers and others working in the agriculture sector regularly experience distress, anxiety and depression, which in turn are related to greater risk of injury. Academic studies have already been performed looking into ways of relieving chronic occupational disease and other illnesses in the farming population, but of the 45 the researchers have examined only one had a particular focus on mental health – and did not apply to Scotland. 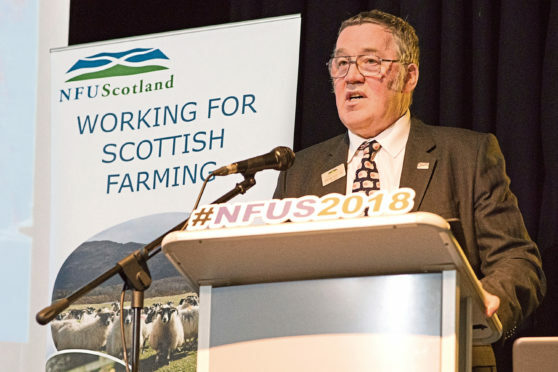 The National Farmers Union of Scotland (NFUS), is supporting the drive and will hold interviews with farmers at Thainstone and Orkney marts, before moving on to an “in-depth workshop phase”. NFUS President, Andrew McCornick, said: “Mental health and wellbeing is a hugely important subject which too often is ignored in the farming community. The organisation made mental health the focal point of a panel session at its Autumn Conference last year, and featured a presentation on the subject at its annual meeting and conference earlier this year.